Korea has a strong commitment to the promotion of the digital economy, and its laws and standards are generally based on international models. 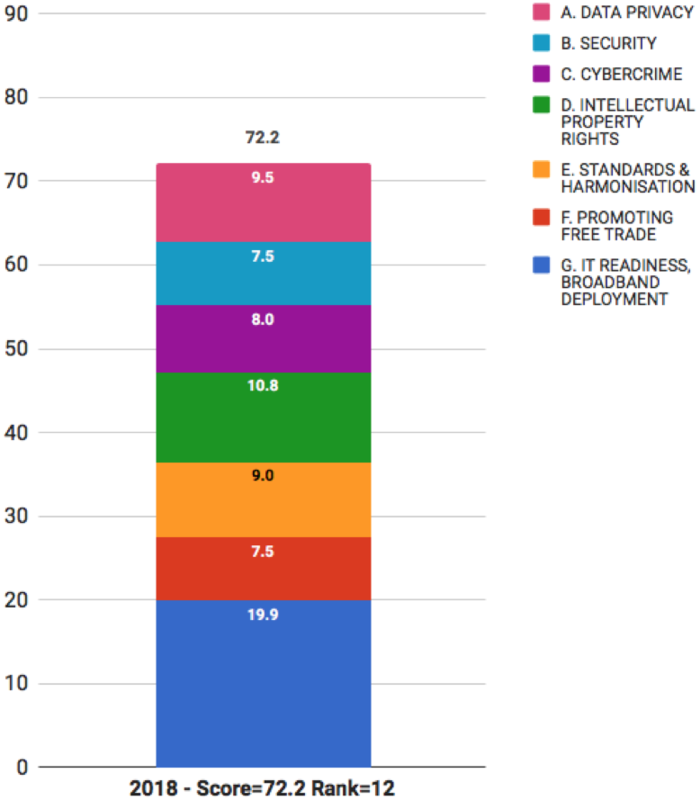 Korea scored well in the IT readiness and broadband deployment section of the scorecard. Although Korea has a personal data protection law in place, it imposes complex and inflexible notice and consent requirements, which effect data flows that are paramount for cloud computing. Korea’s strong intellectual property laws facilitate the development and use of cloud computing services. However, the implementation and enforcement of these laws could be improved in some instances. Korea’s cybercrime law does not cover the full range of relevant issues. Korea is an active proponent of free trade and interoperability and is a member of the World Trade Organization (WTO) Agreement on Government Procurement. However, one current area of concern is that Korea imposes a national encryption standard for the procurement of information technology (IT) security devices and related equipment, when a suitable international encryption standard is available. In addition, some IT products that have already passed international Common Criteria for Information Technology Security Evaluation are required to undergo additional local testing in Korea. Overall, Korea’s position in the Scorecard rankings remains unchanged from 2016. - 3rd for IT readiness and broadband deployment.